There was a time when I would do some form of crafting every day. My go to crafts used to be crochet or scrapbooking. The past 18 months/2 years these has all changed. Life just got hectic and my health deteriorated. By the time I got home from work and did all the little jobs that needed doing I was just too physically and mentally worn out to do anything but go to bed. Having chronic pain from fibromyalgia had a huge impact on my life. I needed to rest and physically prepare my body for the next day. The spoon theory is a great way of explaining things. The theory is that you have a set amount of spoons each day before your body says no, no I can’t do any more. Lets say you have 25 spoons each day. Everything you do requires a set amount of spoons. For example, getting up, showering and dressing requires 3 spoons worth of exertion, Going to the shops would require 10 spoons. This would leave you with 7 spoons to do anything else you wanted to do that day. The spoon theory would allocate spoons to everything you do. You would therefore need spoons to make a meal, get undressed at night, walking up & down the stairs, participating in hobbies and going places. It’s hard to believe but just sitting and participating in a hobby can have an effect on your energy levels. 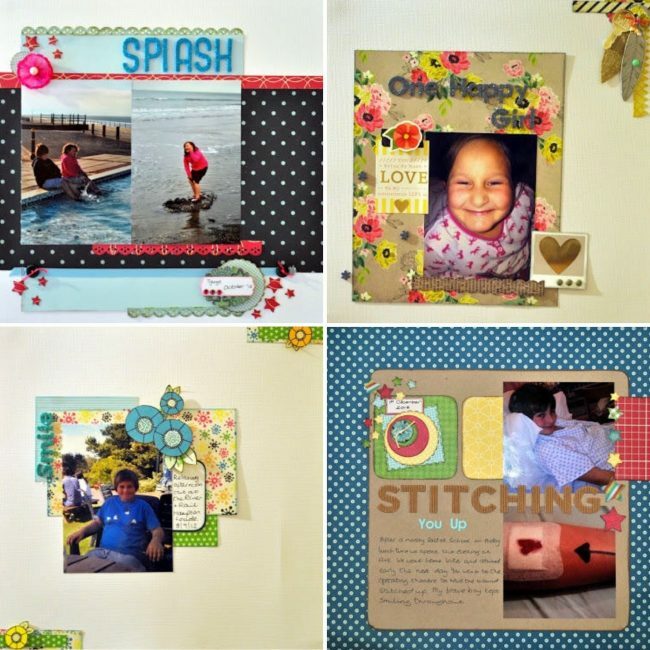 I so miss scrapbooking. It really is an age since I did any. I’ve certainly not done any crafting since we moved back to The Midlands earlier last year. I miss sitting down and having time to just relax. Time to just forget about all the stresses going on. Time to just be me. I know that I need to get back to doing something for me but my issue is finding time. Finding the energy after a day at work and after doing everything else that needs doing to just sit and enjoy doing a hobby. Instead I go to bed and collapse. Having insomnia I don’t tend to sleep too well but I just have no energy to enjoy participating in something I used to enjoy. What I do like however is a good quality mattress and pillows that give me a feeling of luxury and often along side some lavender oil I can get some sleep which really does help. Here is my question. Should I give up on something I enjoy because my body has decided to give up on me? There is so much going on in my life at the moment that I know that I can’t give up anything that is currently using up my spoon allowance. Fibromyalgia has meant that I have only so much energy. Its not a case of going over my spoon allowance. All that happens is I have borrowed the next days spoons. This means I have less energy to partake in life. Sadly you can’t really carry many spoons over to the next day. You can’t store them up for future use. Wouldn’t life be great if you could. Do you have a chronic illness that stops you doing things you enjoy? 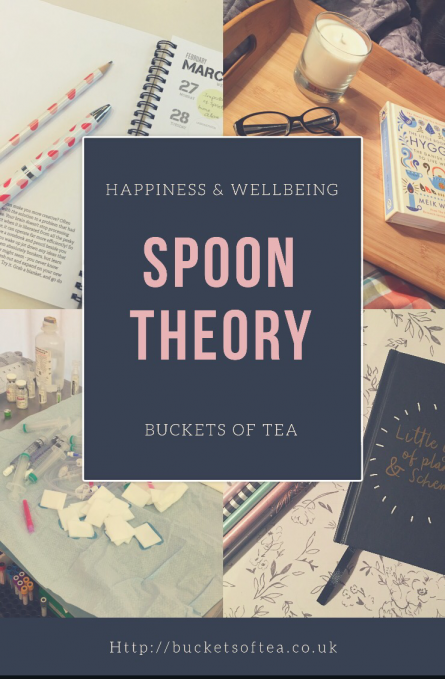 Have you heard of the spoon theory before? 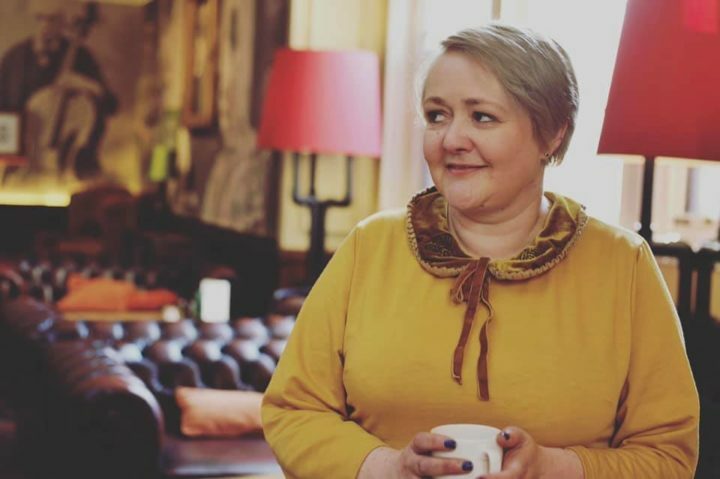 Kate recently posted…The unspeakable problem!! I have SMA, a neuromuscular condition that means I am extremely weak, I rely on people to assist me with pretty much everything other than talking and typing! I studied craft, design and textiles to Mastets Degree level and find crafts so relaxing and therapeutic. That’s when I have the energy to do them without getting frustrated. I can’t move enough for scrap booking but really enjoy smaller crafts like crochet and cross stitch. They are things I can do almost without help (once I’m set up). I don’t have many responsibilities, job etc, so I find that I take whole days out to craft. If I set a day or so aside just for crafting I have enough energy to enjoy it. Don’t give up on your pleasures because of disability. Find a way to make it a necessity. Schedule it in.